Do we learn more about politics through comedy shows? Amy Bree Becker, assistant professor in the department of communication at Loyola University Maryland, details the mixing of politics and comedy and how it affects our views. 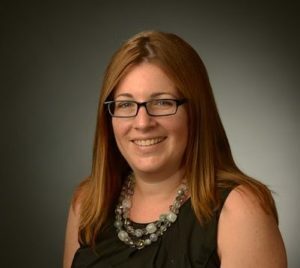 Amy Bree Becker is an assistant professor in the Department of Communication at Loyola University Maryland. Her research focuses on public opinion, political entertainment and comedy, elections and political engagement, and new media. Becker earned her PhD from the University of Wisconsin-Madison and lives with her family in Columbia, Maryland. Remember when Hillary Clinton sat between two ferns to chat with comedian Zack Galifinakis? What about when Jimmy Fallon mussed up Donald Trump’s hair on The Tonight Show? These seemingly trivial and fleeting moments from September are actually central to the presidential campaign. Quintessential examples of the mixing of politics and entertainment, these comedic clips and others like them are important parts of our general election cycle. As my research over the years has shown, political comedy is more than just fun, it’s hybrid media content that has an influence on our political attitudes and our behavior. Political comedy, whether we are talking about the political satire of The Daily Show or the more entertainment-driven content appearing on our major broadcast networks, influences our attitudes toward candidates. The traits comedians focus on – generally things of a more personal nature – become more salient or central to viewers evaluations of politicians. Back in 2008, when comedy told us that Sarah Palin was inexperienced and rural, we believed it. Political comedy also helps citizens become more informed about politics and public affairs. While viewers generally select political comedy first and foremost to be entertained, they consistently report in national surveys that they actually learn something about politics and policy by tuning in. For less politically interested viewers in particular, comedy actually encourages them to seek out and gather additional relevant information from traditional news sources. And while political comedians like Stephen Colbert, John Oliver, and Samantha Bee poke fun at government institutions and crack jokes about politicians that make us more cynical toward the larger political arena, watching political comedy actually improves our sense of political efficacy, or our feelings about our ability to understand and participate in the political process. So the next time you enjoy a moment from Saturday Night Live or The Daily Show, just remember it’s about more than just the laughs. Don’t watch these shows, so am not influence dby them. It was fun to see “Last Man Standing” with their Halloween show last Friday where tim Allen and his friend both were dressed as Donald Trump. One even had a Devil’s tail on his Trump Costume. The late shows with their new host’s just aren’t the same. Never watched SNL.